In THE BEGINNING, a force was poised to lead into THE AWAKENING of a lore so strong and powerful. As THE RISING of their epic tale unfolded, heralding the exodus of the inevitable, a REBIRTH was decided by fate. Cruel and wounding this may have been, their legacy proved to be UNSTOPPABLE. They were Kings among men afterall. Let us journey with them as they lead us into THE RESURGENCE of a new era. The age of legends. The era of EXO. 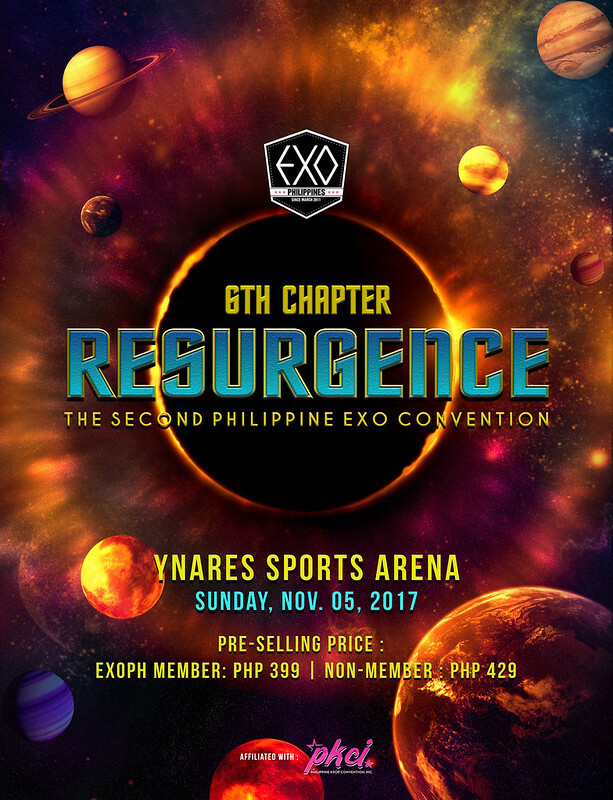 Be one with EXO Philippines as they mark yet another momentous chapter of pure and sheer celebration of all and everything that is EXO. Prepare for a bigger and grander affair of fanaticism that only a true EXO-L can conjure. Their only question is, can you handle this? Ticket selling will start on SEPTEMBER 22, 2017 Other details and information to be announced.